Enko-football: Pellegrini: "Toure not for sale"
Pellegrini: "Toure not for sale"
Toure was heavily linked with a summer move away from the club, however remained at City, although his form hasn’t reached the levels of the 2013/14 season. Following his dismissal and performance against CSKA Moscow, Toure came in for criticism from City supporters and reports have increased that he may leave the club at the end of the season. Pellegrini said: “There must be a lot of reports telling the story that Yaya will be sold. Maybe it is all the other teams that want Manchester City to be a weaker team. “Yaya is a very important player. He played very well in the first half against CSKA – he scored a goal. In the second half he made a mistake and he was sent off but – never in my mind – I am sure nobody at the club is talking about selling Yaya Toure. 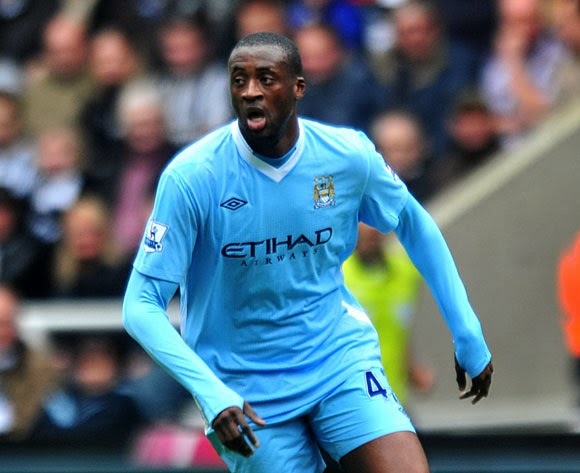 Toure’s performances were the catalyst behind City’s title winning season, with the midfielder scoring 20 times. This campaign he has just two goals, following a summer where he cause controversy by stating he wanted to leave the club. Toure should feature for City in their weekend trip to Queens Park Rangers, although the club captain Vincent Kompany is out. Kompany has been ruled out with a calf injury, with Aleksandar Kolarov and David Silva also out of the fixture.